In February, my family spent three weeks visiting three ski resorts in the Rocky Mountains of Colorado. The weather challenges began as soon as we drove out of the Denver airport. Getting on I-70, heading west up into the mountains, put us smack in the middle of a blizzard. 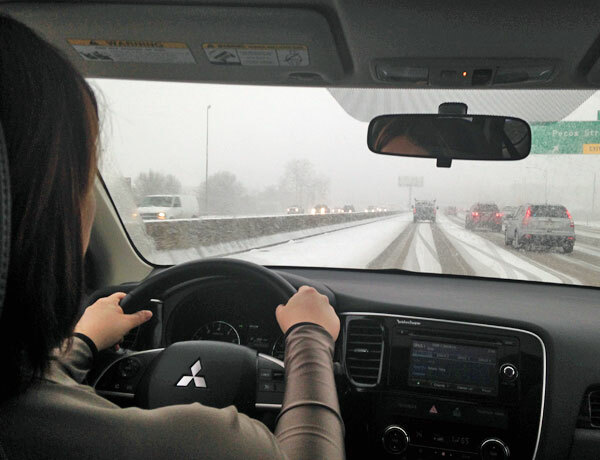 Thankfully, we were driving a safe, reliable, comfortable vehicle for this particular road trip – the 2015 Mitsubishi Outlander SE with Super All Wheel Control. While my family was whooping it up – excited about the fresh powder we’d get to ski the next day – I was a little more stressed as the one behind the wheel in a white-out. With the Outlander’s Super All Wheel Control, a simple push of a button allowed me to transfer more control to the rear wheels to keep us gripping – and not slipping – on the road. The S-AWC button is conveniently placed in the center console, easily reachable by the driver and passengers. Pressing the S-AWC button cycles through the drive modes: AWC ECO, Normal, Snow, and Lock, with the mode displaying prominently on the dash. Once we hit “Snow Mode,” my white-knuckling quickly subsided as I noticed how beautifully the Outlander handled in slippery conditions. And the fact that the Outlander is the highest rated crossover for safety put me even more at ease. White-out conditions, but the Outlander handled it beautifully. The Outlander is equipped with seating for seven. The third row consists of two separate seats that easily fold down flat. We only had four of us in the car, so we kept the third row down to make extra room for our luggage, food, and ski gear. We were all always completely comfortable… except maybe for the time we got a late start, missed the shuttle bus to the mountain, and had to load four pairs of skis, poles, and boots in the car. My son had a pair of skis over his shoulder, but we were still thrilled that everything fit in without a ski rack! For more details and photos, head over to SheBuysCars. My family loved the 2015 Outlander, and I’m looking forward to the world premiere of 2016 Outlander at the New York International Auto Show. Full 2016 Outlander details will be released at 11:30a.m. 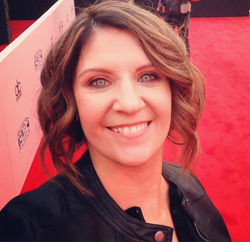 ET on April 2, 2015. For more info, visit media.mitsubishicars.com. Love cars? Don’t miss your chance to win tickets to the NY International Auto Show. You can also follow along on Twitter @NYAutoShow. 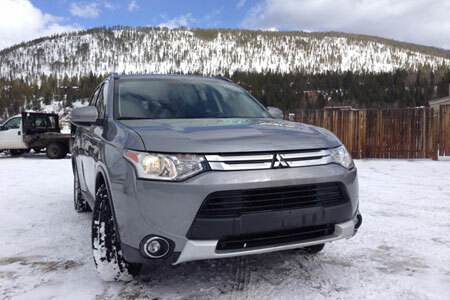 Disclosure: The Outlander was provided to me by Mitsubishi for the purpose of this review. The opinions expressed are strictly our own.